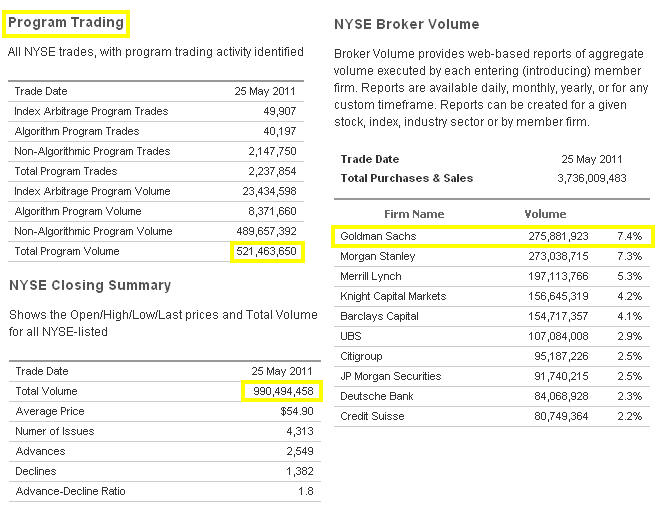 Retail investor participation represented only 1.5% of total volume on the NYSE. 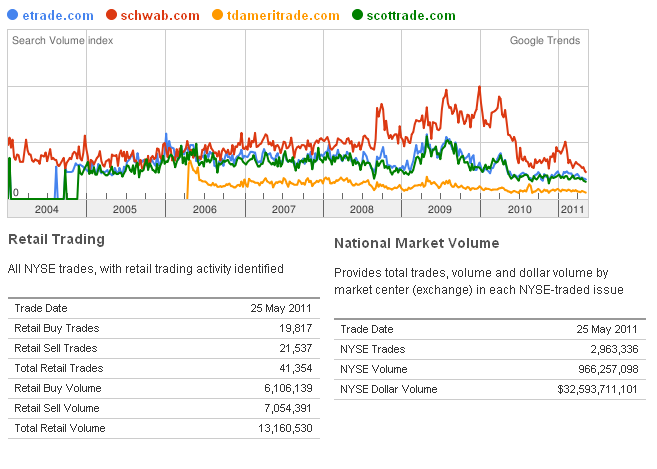 There is no exact way to capture all retails trades but assessing Google Trends data across the prominent retail brokerages the metrics confirm the dwindling market participation. On the anniversary of the flash crash, little if anything has changed. Circuit breakers, limit-up/down triggers are patchy solutions which ignore the root issues. The current anatomy and structure of the market, the co-location of servers, front-running, high frequency trading and algorithms will induce heavy market volatility. The exchanges simply cannot withstand that pressure.